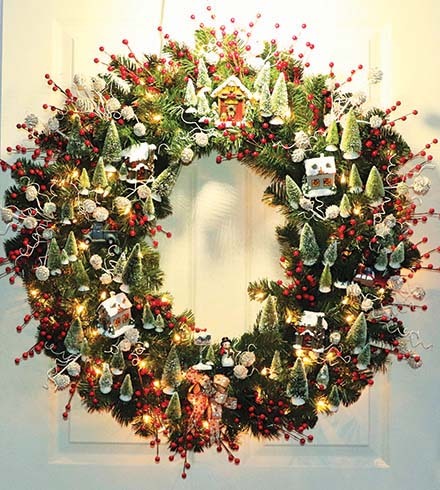 Most Christmas trees get kicked to the curb and ground up into mulch after the holidays. But a Portland-area conservation group is trying to change that. 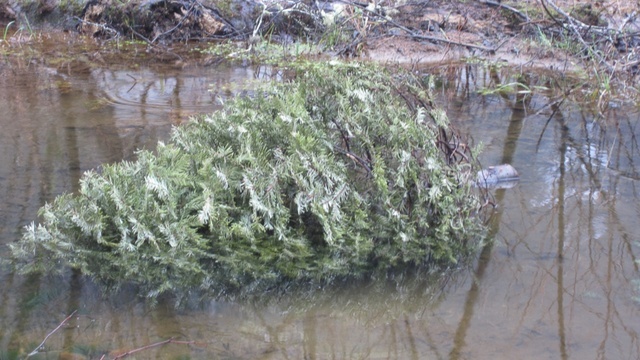 The Tualatin Valley chapter of Trout Unlimited has found used Christmas trees make great salmon habitat when placed in coastal waterways. 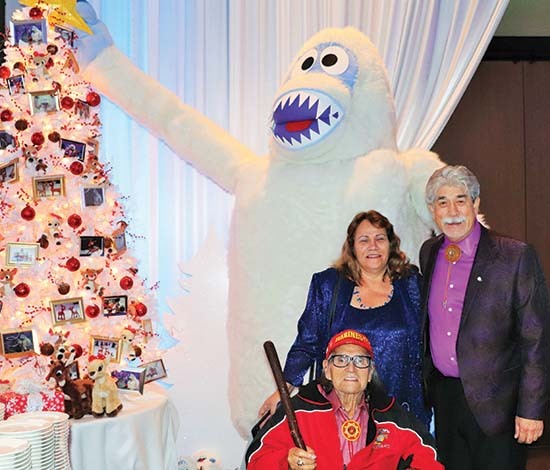 Next month, they’re launching the third year of a program they call Christmas for Coho. They’ll collect used Christmas trees on three Saturdays in January and place them in the Necanicum River, coastal stream in northwest Oregon. There, once submerged in water, the dying trees will take on a whole new life. Michael Ellis, the group’s conservation director, said the trees provide valuable woody debris that salmon can use to hide from predators. The trees also feed microorganisms that attract other critters for baby salmon to eat before they head out to sea. Coho Sanctuary is one of the wetlands where the group has placed trees. Its owner captured underwater videos of young coho salmon swimming through the habitat. Ellis said the group has found lamprey and other wildlife using the habitat, too. Ellis’ group will be collecting used Christmas trees on January 3, 10 and 17 from 9 am to 4 p.m. at two fly-fishing shops: Northwest Fly Fishing Outfitters in Portland and Joel La Follette’s Royal Treatment in West Linn. The group requests a $10 donation to cover the cost of transporting the trees. 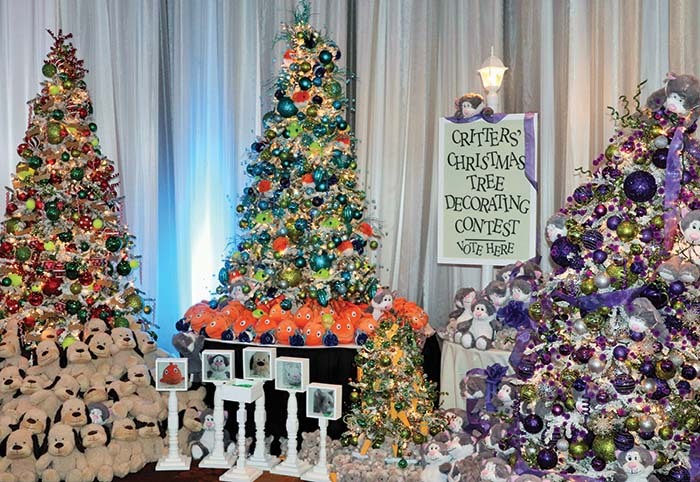 The group is entering the third year of a program called Christmas for Coho. 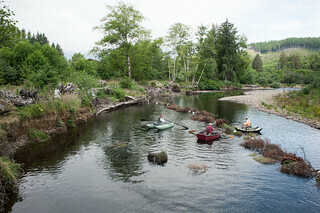 It’s is one of many groups across the country turning old Christmas trees into fish habitat. Similar projects have taken place in California, Missouri, Ohio and Louisiana. 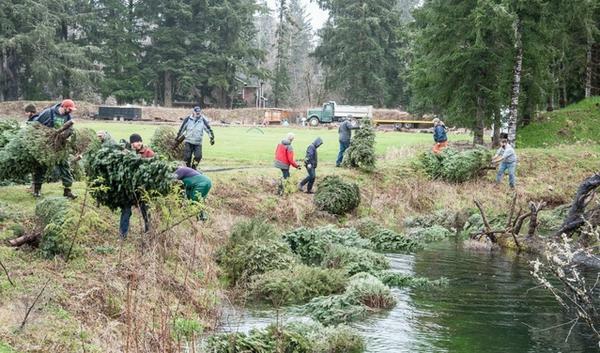 Tualatin Valley Trout Unlimited board member Mike Gentry helped place Christmas trees into a coastal stream the first year of Christmas for Coho – back in 2012. He said he saw baby coho swimming to the site as soon as the trees hit the water. Once submerged in water, Christmas trees provide places for microorganisms to grow and attract other critters that baby salmon can eat before they head out to sea. The Pacific Northwest could be using recycled Christmas trees all over the place to help salmon, Ray said. Within days of putting the trees under water, a brown algae starts growing on the needles. Other critters flock to the branches to eat the algae, and a new food web is born. Ray and Gentry are hoping that the Christmas for Coho program will encourage more people to start turning Christmas trees into salmon habitat. “If everyone in Oregon took their Christmas trees and put them into a stream instead of chipping them into mulch, it would be a really valuable gift to salmon,” said Ray. The Tualatin Valley chapter of Trout Unlimited will be collecting trees on Jan. 4, 11 and 18th from 9 am to 4 pm at two locations: Royal Treatment Fly Shop, 21570 Willamette Dr., in West Linn; and Northwest Fly Fishing Outfitters, 10910 NE Halsey, in Portland.